Statistics in the western world show that an increasing number of property owners are looking to downsize to smaller and more manageable permanent accomodation. This presents an amazing opportunity for tech-savvy real estate marketing experts like you to jump in and connect to potential down sizers. While this template is specifically designed for Australian market you can quickly edit to localize to your area. Scroll down or use the search bar on the upper right corner and search for “Downsizing”. 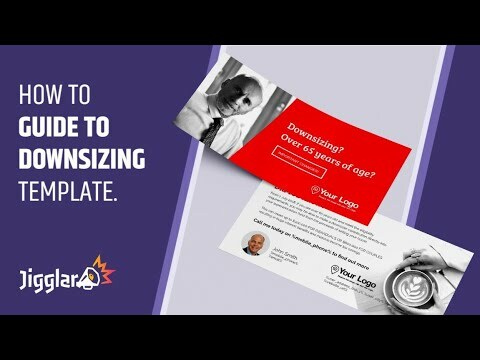 Select “Downsizing” DL template and Jiggle away.Note: All pages are editable according to your desired details & photos.